LANDSAT is the NASA site for the Landsat Program. Also check Landsat.org/. For a brief history, see Landsat.gsfc.nasa.gov/about/landsat1.html. LANDSAT is the U.S. Geological Survey site for the Landsat Program. EarthNow! is a Landsat Image Viewer (Realtime applet displays Landsat data as it is being collected). Satellite Imaging Corporation Value Added Reseller of Landsat and other satellite imagery. 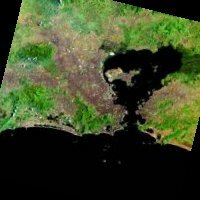 Hawaiian Ecosystems at Risk project (HEAR) Maps of Hawaii created from Landsat data. 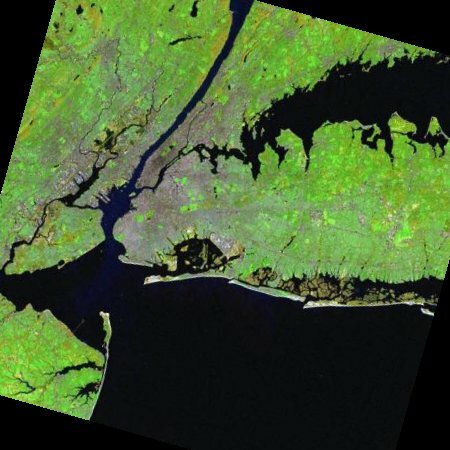 Landsat images of the US; a picture of DC; other Images of events, cities and features; Landsat imaging maps. International Charter "Space and Major Disasters" A Co/op of space agencies coming together to provide a unified system of space data acquisition and delivery to those affected by natural or man-made disasters. USGS is signed on to provide Landsat imagery. Google Earth An advanced mapping application utilizing satellite and aerial imagery. GEOEYE The world's largest commercial remote-sensing company.